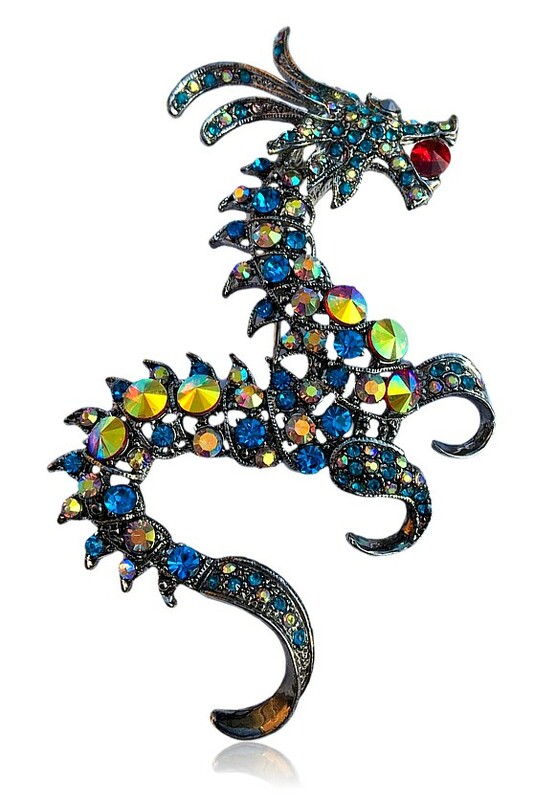 The mythical dragon has never been so spectacular as in the case of this powerful and mighty blue Czech crystal creature. Stunning in the extreme, with a shimmering royal blue and aurora borealis body and coils he attaches to your lapel, grabbing maximum attention. This is one brooch everyone will comment on – especially with so many Game of Thrones fans out there. Not for the fainthearted, the Blue Dragon measures in at 10.5cm x 6.5cm (4¼” x 3” ) and is set on a gun metal pin with a roll over safety clasp.